With the schools breaking up, I am currently running updated versions of my annual travel planning series. This will cover the best ways of earning or redeeming miles and points to get the best value from your Summer travel. Part 1, on earning Avios and miles from car rentals, is here. Part 2, covering ways to earn miles when buying foreign currency, is here. “How to get a discount on airport car parking” is a difficult and long-winded question, especially at Heathrow. Luckily for me, the good people at moneysavingexpert.com have written a long article on the subject, which you can find here. I can therefore focus on the ‘miles and points’ angles. The official Heathrow Airport car parks are certainly not the cheapest option but are certainly convenient. 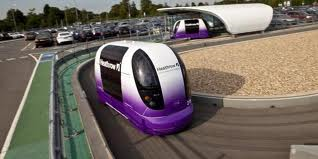 Depending on your car park, you may even get to travel to Terminal 5 in the very cool driverless ‘pods’. We did a trip report on the ride on the driverless pods (and a video!) which you can find here. You can reduce what you pay for the official Heathrow car parks by redeeming Heathrow Rewards points. The rate is a £10 voucher for every 500 points you redeem. This is a very good deal, because the alternative would be receiving 500 Avios – and I certainly don’t value an Avios point at 2p – or a £5 shopping voucher. You can also earn points with Heathrow Rewards, convertible to Avios or various other airlines, when you book the ‘official’ Heathrow car parks, at the rate of 1 point for every £1 spent. The website for the official Heathrow car parks is here. Heathrow Airport owns another low-key parking company called Good To Go Parking. This sells parking at Heathrow at discounted prices as long as you stay a Saturday night. Whilst the Good To Go website isn’t very clear about where you will be parking, you will actually be in the official airport-owned car parks. Do check the official Heathrow parking site too, however, as on odd occasions it can be cheaper. Tesco Clubcard has a partnership with airport parking group APH. You can see details of the deal here. You receive 3 x the face value of your Clubcard vouchers (recently improved from the old rate of 2x face value) if you redeem them for APH parking. You need to be booking for a minimum of eight days in order to use vouchers. As I outlined in this article, Europcar is offering one-way UK car rentals for a flat fee of £1, including basic insurance. Most of these are to or from major airports, in particular Heathrow. Hertz has also introduced its own £1 one-way rentals to and from airports. Hertz One, as it is called, is explained in this HFP article. I wrote an article last year on the semi-secret ‘park and fly’ Park Stay Go rates offered by IHG Rewards Club via a little-known corner of their website. This is worth a look. You may find that you can book a hotel room for the night before plus solve your parking problem for less than the cost of an official car park. The benefit of booking an ‘official’ IHG package rather than using a consolidator like Holiday Extras is that you will earn IHG points for your stay and your elite benefits should be provided if you have status. Full details of IHG’s Park Stay Go are on the IHG website here. The other Heathrow hotels may also offer similar packages depending on how busy they are. If you are flying out of Terminal 5 at Heathrow, take a look at the Thistle hotel. This is, frankly, not the most modern of hotels. The reason to book a ‘park and fly’ package here is that you can use the driverless pods to reach Terminal 5 as they operate from the official car park behind the hotel. There is a £5 per person charge for this but it makes for a fun and trouble-free start to your holiday. I stayed at the Thistle Heathrow recently and took the pods to Terminal 5 the next day. Here is my Thistle Heathrow hotel review. Get an ‘under the carpet’ deal at one of the Heathrow hotels! Some hotels at Heathrow sell their parking spaces – with no obligation to book a room – via the JustPark website. If you want a really cheap deal, there are also private individuals on JustPark who rent out their driveways! Most live inside the ‘free Heathrow bus travel zone’ so you won’t have to pay to get to or from the airport – although you will have to take your luggage on a standard bus. I wrote a full overview of JustPark in this article. There is no simple answer to the cheapest airport parking at Heathrow, or elsewhere in the UK. It is all about the trade off between the distance from the airport and the price you want to pay. If you would need a hotel the night before anyway, then a ‘hotel plus parking’ package is probably your best option – but remember that these packages, unless booked direct, are unlikely to earn hotel points or give you elite status benefits. If you are price conscious, then don’t be distracted by the Avios points on offer from various operators. Focus on the bottom line price. If you are spending your employers money, or are not price sensitive, there are numerous opportunities to earn Avios or Heathrow Rewards from the pricier, more convenient parking options. 30% bonus when you use Virgin Flying Club 'Miles Booster' - good deal? A word of warning about Europcar One way Rental for £1 deal, they canceled my reservation with them less than 24 hours before I was due to collect. And have not responded to my emails/ telephone calls asking for the reason or a result of the complaint I later submitted. That meant I was out of pocket £88 after they returned my £1 for alternate transportation costs. You’ve got me worried now! I’m planning on using one next week. As it happens, I have 2x £1 rentals booked —> LHR (plus another full price one) & was planning on tidying up today to avoid the £45 no-show charges – but I think I’ll delay cancelling the unwanted 2 until next week, given what you just said. 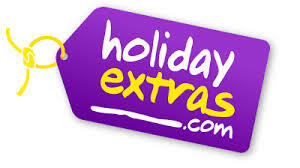 It used to be the case that if you accessed holiday extras via saga.co.uk you got an extra 5% off the prices. You didnt have to mention age or date or birth! Also if you read the mystery hotel description and then have the time and inclination (it seems many hfp readers do!) to carefully read the individual named hotel description of the same star rating, you can usually match the mystery hotel to a named one! Yes, Ive looked a couple of times with a Sat night at Good to Go parking and found they were considerably more expensive than the Long Stays at Heathrow. Do you mean a 1/10th of the price? The same car parks charge different rates through different routes for the same parking. I’ve been charged less than £20 for a week’s parking at Heathrow on one site where for the same parking it was £100 on another. On another occasion, by selecting “any” on the drop down the charge for parking at T5 was £10 for a long weekend, but if I selected T5 from the drop-down it was £40. It’s all down to playing the system and finding the best price for your booking today, the same method probably won’t work tomorrow. On a Sunday evening, when I’m on the last flight from Edinburgh and just want to get home, nothing beats the pods. Ive done the Thistle/Parking/Pod thing. The hotel is a proper slum. Our group had 6 rooms & all the rooms was dated & not very clean. Nothing was updated & the bathroom was nothing like Rob’s review. Then the whole problem of actually finding a space within the hotel… or in our situation 4 parking spaces! Also eating is limited. IIRC the Pizzas took an age to come out. While the pod is fun – it is expensive for what it is. £5 per person EachWay – so a tenner each. OT – when do BA tier points get credited in the case of a return journey? My onward flight is before my membership year end and return flight is after the membership year end. If my onward point is credited immediately after the journey, I would move up to the next tier. Credited only after flying. So outbound is credited a couple of days after flying. The return leg, a couple of days after flying. I have had the Virgin MBNA in the past, I cancelled around two years ago. Is this a separate promotion to the one for transferring MBNA cardholders? I think they have got confused over who is still a current cardholder because my wife got this offer and she cancelled hers too. As long as they sent it to you and you apply using the same email address it will all match up and you’ll get the bonus. OT: Found and booked £1250 LHR-GRU-GIG and return in August. Still might be something available on 8/9 August according to ITA. Anyway, how do I choose seats on LATAM? The driverless pods at T5 are loved by families with kids, but are poorly ventilated in hot weather. Hence not always as ‘cool’ as described! However, a firm favourite for most of the year. Agreed, the pods are fun! They’re a good option on short trips. One disadvantage of Good To Go Parking is that bookings are non-refundable unlike Heathrow.com.